This is the story of Allen Langham, a former professional rugby league player with a promising future, who threw it all away on the path of drinks, drugs and organized crime. Struggling with the legacy of a broken family, a troubled past, Allen soon fell into the arms of addiction, playing out his frustrations and anger in an arena of violence. In and out of prison, something had to change, and in 2013 Allen has a dramatic encounter with Jesus Christ and became Born Again. This is the true story of the journey from darkness into light, a testament to the power of God to change us and send us out as his servants and bring the Good News and the story of hope to those who need it the most. 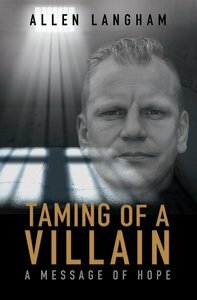 About "Taming of a Villain: A Message of Hope"